SOLD OUT UNTIL THE FALL. The original chocolate bullets and our most popular is the 20 Rounds of Milk Chocolate Bullets, .50 Caliber size. Tin is lockable, stackable and Reusable. Call us now on 858-252-2666 for more assitance or info about our products. Our most popular tin by far! Have you ever been told to "Bite the Bullet"? 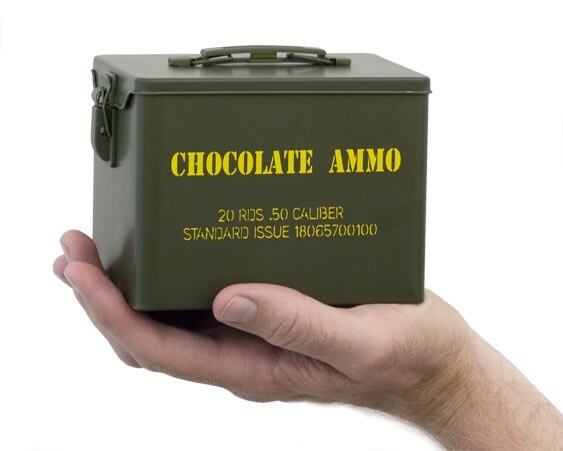 Well, now you can with our Chocolate Bullets! 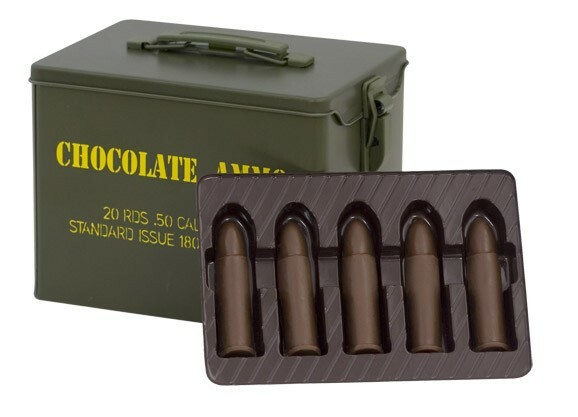 Each reusable miniature chocolate ammo tin contains 20 rounds of dangerously delicious .50 caliber REAL milk chocolate bullets for your enjoyment. 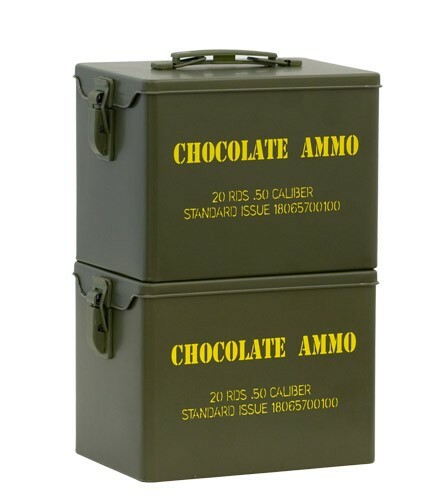 Better yet, once you consume the chocolate bullets, you can store your real ammo in the reusable, lockable and stackable mini ammo can! 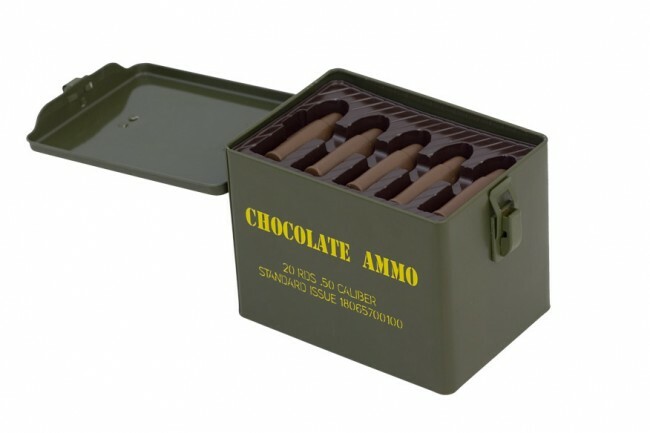 Each chocolate ammo tin measures 5"L x 3.5"W x 3.5"H.
Ingredients: Milk Chocolate (Sugar, Cocoa Butter, Milk, Chocolate Liquor, Milk Fat, Soy Lecithin, Vanilla). May contain traces of peanuts and nuts. The Chocolate Ammo concept originated from our love of the outdoors, hunting and our right to bear arms in this great country. We proudly encourage the responsible use of firearms and enjoy promoting their use with our novelty collector tins. © 2019 Chocolateammo.com. All Rights Reserved.